While Raphael Mazzucco made a name for himself in the world of fashion photography, today he’s an artist that seamlessly weaves his trademark photography into his obra maestras, which are a celebration of both the female form and the natural environment. In the not so distant past, Mazzucco’s iconic photography was splashed across the pages of some the world’s best-known magazines. His pictorial talents were also featured some of the biggest names in fashion over his two-decade career in advertising photography. In recent years, Mazzucco collaborated with musician Sean “Diddy” Combs and Jimmy Iovine from Interscope to produce “Culo,” a book that celebrates the derrière as the “new epicenter of female sexuality, desire and empowerment.” Last year, he worked with best-selling author E.L. James to create the only office “Fifty Shades of Grey” fine art collection. Today, this Vancouver native calls New York home, spending a great deal of time creating contemporary art in Montauk, a quaint waterfront community on the tip of Long Island. 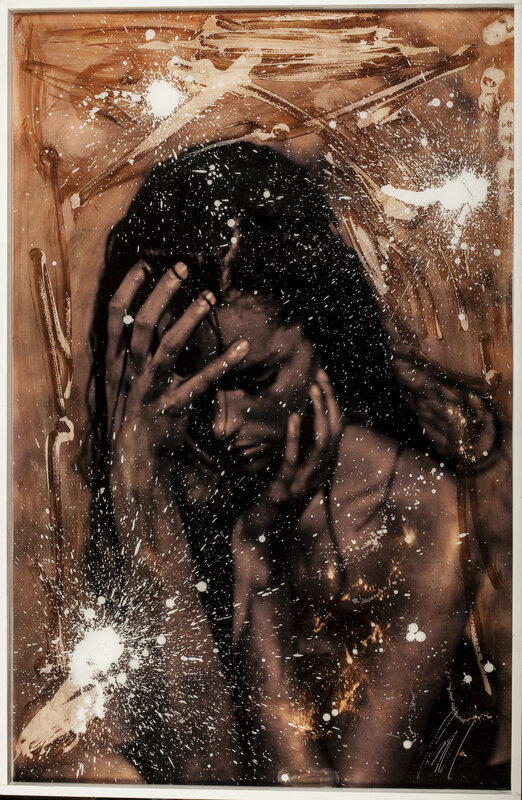 His most recent creations build on his long career in photography, and are “visceral photo-collages” with superimposed paints and sketches. In many of his paintings, he zeroes in on female figure, harkening back to his trade as a commercial image savant. Blurring the line between the human form and the natural environment, Mazzucco places his resplendent human subjects in a wide range of sublime landscapes around the world and then covers his handicrafts in resin. You’ll find an extensive collection of Mazzucco’s work at IV New York, a hip art gallery in the heart of Chelsea neighborhood in the Big Apple that recently opened its doors to the public.